Electronic Devices with Lithium Batteries. Apple recommends not exposing an iPhone or iPad to temperatures below -4 degrees Celsius; battery life can reduce and condensation can damage the screen of chilly electronic devices. Most medication needs to be stored at room temperature for optimal efficacy. Insulin, for example, becomes ineffective once frozen. As do many liquid medicines which require shaking before use. Wood constricts when it freezes, possibly resulting in cracking. Guitars, for example, should be stored at room temperature to prevent cold damage to the neck and strings. The water content in tinned food, once frozen, will expand, resulting in possible explosion! If you don’t want to wake up to a car peppered in baked beans, make sure you don’t leave your groceries in your boot during freezing weather. Similarly, fizzy drink cans are susceptible to exploding if allowed to freeze. Coca-Cola freezes at just -1 degrees Celsius and beer, at -2! Considering some parts of the UK are currently experiencing temperatures of -12 degrees, it’s worth refraining from using your car as a drinks’ cooler! A frozen yolk will be unpalatable and tricky to cook with. Cracked eggs should be discarded if exposed to freezing temperatures, but uncracked eggs can be transferred to the fridge. Keeping your tank more than half full can prevent fuel lines from freezing. It’s also the ideal time to check antifreeze levels, and also your tyre pressure; a 10 degrees temperature drop, can cause a constriction of air in the tyre. 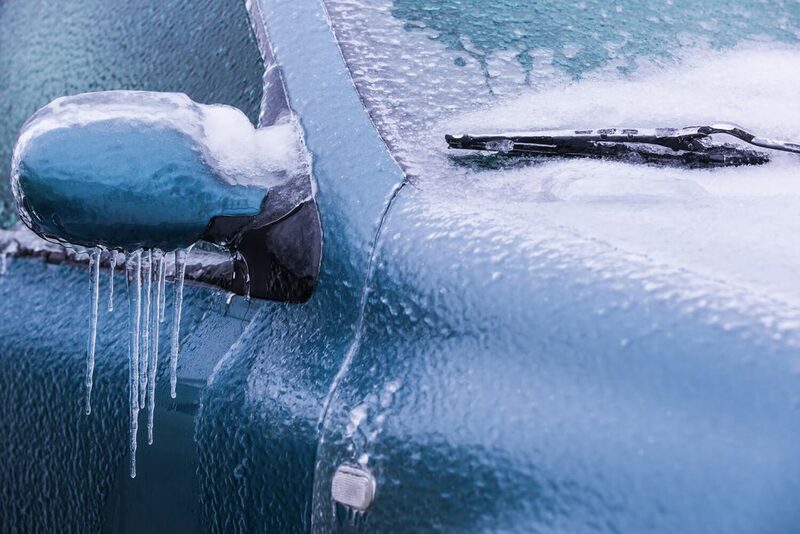 Don’t be tempted to leave your car idling to ‘warm up’ or just to pop-in to the shop. You’ll impact wear and tear, use unnecessary fuel and possibly have your car stolen, invalidating your insurance. Run the car for 30 seconds max before driving off slowly to allow the oil to heat up. To check your current car insurance policy is a thorough as it could be this winter season, please contact your local, A-Plan insurance expert at a branch near you.